The findings, which appear in the Journal of the National Cancer Institute, are based on an analysis of data from 114,460 women enrolled in the California Teachers Study. During follow-up from 1995 to 2001, a total of 2391 women were diagnosed with breast cancer. Using aspirin or any other NSAID more than once a week had no effect on breast cancer risk, unless such use lasted at least 5 years, Dr. Sarah F. Marshall, from the University of Southern California in Los Angeles, and colleagues report. Long-term aspirin use was tied to an increased risk of breast cancer that was not hormone-driven, the researchers found. There was also evidence that long-term ibuprofen use increased the risk of breast cancer, especially disease that had spread. The authors estimate that 22 of the breast cancer cases diagnosed might be attributed to aspirin or ibuprofen use. Daily use of aspirin for at least five years increases the risk of at least one type of breast cancer. And ibuprofen use daily for five years or more was associated with a 50 percent increased risk of breast cancer, she added. “These observations warrant further exploration because of the public health impact such readily available NSAIDs may have on breast cancer,” Marshall’s team concludes. -Journal of the National Cancer Institute. Sinus problems refer pain into the neck. Heart problems into the chest and middle back. Stomach problems in between the shoulder blades. Kidneys imbalance refers pain into the lower back. Intestinal problems also refer pain into the lower back. So what do you do to get rid of your pain? They increase the risk of certain cancer (as the study shows). They give you Leaky Gut Syndrome which opens the door to most all disease. Leaky gut is exactly what it sounds like. The intestinal tract is like a fine screen or mesh, which only lets nutrients of a certain size through. The nutrients then pass into the hepatic portal blood vessels, which bring nutrients to the liver, your chemical detoxification plant. In a leaky gut condition, the intestinal tract becomes inflamed and the selective permeability (letting only digested food particles through) breaks down. This allows the passage of not only normal digested nutrient building blocks (amino acids, fatty acids and simple sugars from carbohydrates), but also the passage of larger food particles, like larger chain proteins, fats and carbohydrates, and toxins that were never meant to pass through. This can be likened to a window screen. If the screen is functioning properly with no holes in it, air will pass through, but the flies, mosquitoes and other bugs will not. In leaky gut, the intestinal barrier becomes inflamed. Instead of only letting the digested broken down food particles through, the larger food particles and toxins enter causing the immune system to become weakened and over stimulated. This is like the screen that now has tears, making larger holes that allow all types of insects to get through. This presents a few problems. Larger chain proteins can trigger not only intestinal irritation and inflammation, but also all kinds of allergies, immune and autoimmune problems, and inflammatory joint conditions like rheumatoid arthritis. Too much protein can also cause kidney damage, especially if it is not digested into its amino acid building blocks. Leaky gut can also result in toxicity, since toxins leak through the “screen” of your intestinal wall (because of the larger holes produced by the inflammation.) These toxins ultimately end up in the liver, your chemical detox plant. Unfortunately, your liver is by then overburdened, and the toxins end up circulating throughout the body, causing havoc wherever they go. If the toxins deposit in the brain, you might have foggy thoughts, possible memory loss and/or confusion, and even the start of neurological disease like multiple sclerosis or Parkinson disease. If the toxins deposit in the joints, you will have arthritic-type pains. If the toxins deposit in organs that produce white blood cells (WBCs), your immune system will be weakened, making you more susceptible to illness, including cancer. Toxicity is the primary cause of cancer because toxicity is the primary cause of a weakened immune system. Cancer cells form in your body daily, but your WBCs normally destroys them. But when toxicity weakens your immune system, your WBCs can’t do their job, giving cancer cells the opportunity to grow. They eventually form a little colony called a tumor, which WBCs have more trouble destroying. So do not let your defenses down. What would happen if two armies came to fight, and one side laid down all its weapons? That army would be quickly destroyed. That’s why our immune system is to be highly regarded and guarded at all costs. 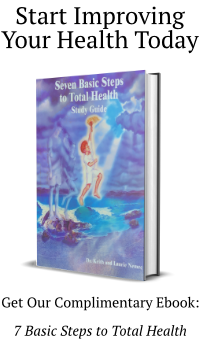 Get healthy by living the 7 Basic Steps to Total Health™ everyday. By living these Seven Basic Steps you virtually eliminate all inflammation (which is the root of all disease) and heal all Leaky Gut Syndrome. You pray. 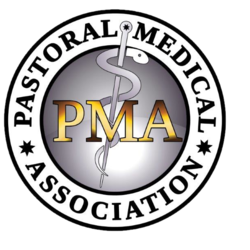 As the poll stated, prayer worked as effectively in reducing pain as prescription drugs. 90% polled said it worked well. 51% said it worked very well.